NEW Unclaimed Cisco Meraki Z1-HW-US Cloud Managed Firewall - 1 Year Warranty ! Factory reset and tested. Only one antenna. HP Thin Client pfSense 2.3.4 Firewall VPN 5x Gigabit Ports, 16GB SSD, 4GB RAM! 16GB mSATA SSD Hard Drive. 4x Gigabit Network Ports. 1x Gigabit Onboard Network Port. Juniper Networks. Item is in good working condition. Case has minor scratches. A/C adapter included. See pictures for details. Whether it's a laptop, desktop, LCD, printer or one of our other amazing deals, each piece is coming to you off-lease. The short answer is as many as you wish, however only 3x simultaneously per VPN account. The world is a scary place as the wars of the future will most likely be cyber, so keeping a watchful eye on your Internet security is a no-brainer. ZYWALL USG 50. YOU ARE LOOKING AT A ZYXEL UNIFIED SECURITY GATEWAY. FAILURE TO DO SO AND YOU LOSE THE RIGHT TO THE ITEM(S). ITEM(S) WILL BE RELISTED. Sophos SG 115 Rev.2 Security Appliance SKU SG1BTCHUS. The Sophos SG Series appliances are designed to provide the optimal balance between performance and protection ?. Whether you need a solution for a small remote office, want to protect your school campus, or are a global organization requiring high-availability and enterprise-grade features, our SG Series appliances are an ideal fit. This is a used device that came from a working site. Unit is sold as is. Power supply included. This Palo Alto Networks PA-200 Firewall has a few very light scratches on the top. We include exactly what is shown in the photographs, nothing more and nothing less. =============================================================. Code example: XXXX-XXXX-XXXX-XXXX-XXXX-XXXX-XXXX-XXXX . ====================================. Secure . For all browsers . For torrents, too! Sounds complicated, but it’s super okay because you can basically surf the net anonymously! OkayFreedom VPN Premium. Y ou will Recieve : Downloadable link from OkayFreedom official Website /. OkayFreedom VPN will automatically pick the best connection for you. ASA5510-BUN-K9 - ASA 5510 Adaptive Security Appliance, 3DES/AES. ASA 5510 Adaptive Security Appliance, 3DES/AES. Cisco ASA5510-BUN-K9. Network Hardware Depot. NO OS is installed. Can boot from USB, etc. Suitable for PFsense, open firewall, etc. Mini Fanless Silent PC. Fanless and Silent, i n good condition. Can boot from USB key, etc to install OS. no desk stand, but units stands up fine on its own. It is a low power machine consuming around 10-15W. OneHP t610 PLUS. One HP power adapter. One power lead. Monitor support. Product features. Microphone-in : 1. Audio-in : 1. This item has been successfully tested for power on/key functions and is R2/Ready For Resale. Local pickup is available. The item exteriors may have minor scratches, scuffs, dents, cracks, nicks, etc. 32 MB (or larger) ATA Disk-On-Module flashed with the latest m0n0wall firmware (currently 1.8.1). Pre-loaded with the latest version of the open source m0n0wall project (1.8.1 or later) (See below for details). 120 120mm mini itx mainboard. High-quality pure aluminum. 134 126 39 mm (W D H). 0% - 95% relative humidity, Non-condensing. Working Humidity. -10°C - 60°C. Working Temperature. 1 mini-PCIE, support WiFi and Bluetooth. Model :Cobalt RaQ 4i. Product Line Sun Cobalt RaQ. Type web server. Network / Transport Protocol TCP/IP. HARD DRIVE. OS PROVIDED. SLOT REQUIRED. Free Qty 1. 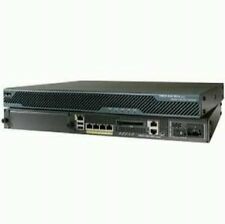 For sale is a Cisco ASA5520-BUN-K9 Adaptive Security Appliance SW HA 4GE 1FE 3DES/AES HSS. Local pick up is available and always free. Does NOT include Rack Mount Kit or SSM Blank . NCipher nShield F3 Cryptographic Accelerator. Model nShield F3. SAN Storage. A-022001-L Hardware Security Module. Interface Bus PCI-e 2.1. Part Number NSHIELDF3-PCI-150. Graphics Cards. RAID Cards. AnyConnect Premium 25. AnyConnect for Cisco VPN Phone. AnyConnect Essentials. ASA5505# show ver. Hardware: ASA5505, 512 MB RAM, CPU Geode 500 MHz. AnyConnect for Cisco VPN Phone : Enabled perpetual. AnyConnect Premium Peers : 25 perpetual. Up for sale is a Barracuda firewall appliance that has been preloaded with pfSense® software. - 32GB solid state drive (SSD). - 8GB DDR3 RAM. BRAND: Cisco DESCRIPTION: Adaptive Security Appliance Firewall MODEL NUMBER: ASA 5508-X RAM: 8GB IOS: 9 CONDITION: Seller Refurbished and Tested Working We are offering for sale the following Cisco ASA 5508-X Adaptive Security Appliances. These units have been tested and they are in working order. They have been reset. These ASAs have minor scratches and scuff marks especially on the top of the unit(see pictures). These units do not come with rack mount ears(see pictures). ITEMS INCLUDED: Cisco ASA 5508-X Adaptive Security Appliance Power Cord NOTE: Please be advised that FREE SHIPPING is only for customers in the continental United States. If you have any questions about this policy, please contact us using the Ebay messaging system. Thanks for viewing our listing :). Up for sale is a Check Point 4200 Series firewall appliance (CPAP-SG4200). You will receive the item as pictured. -4x gigabit Ethernet ports. Don't miss out on a great deal on a great machine! No other accessories will be included. 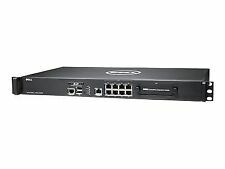 Up for sale is a Barracuda firewall appliance that has been preloaded with pfSense® software. - 120GB hard drive. - 4GB DDR3 RAM. Fortinet Fortigate FG-60C-G Security Appliance. 16GB mSATA SSD Hard Drive (Innolite mSATA D150Q). Firewall is supplied with a vertical stand. 1x Gigabit Realtek Onboard Network Port. Ubiquiti Networks introduces the UniFi Security Gateway, which extends the UniFi Enterprise System to encompass routing and security for your network. MFG Part #: USG. Two models are available. The USG features a wall-mountable form factor with a dual-core, 500 MHz processor for standard hardware-accelerated performance. For sale is aPalo Alto PA-200. Does not include power adapter . Local pick up is available and always free. Fortinet FG-61E FortiGate-61E Firewall Appliance - Used - 100% Working/Tested . Condition is Used. Power cable included. Device is not registered with any Fortinet Account. Device has been reset to factory defaults. Item being sold as liquidation from an organization that went out of business. Up for sale is a Check Point 2200 Series firewall appliance (CPAP-SG2200). You will receive the item as pictured. -6x gigabit Ethernet ports. This appliance features the following hardware specifications. Feature: Fanless. Storage SSD: 32GB/64GB/128GB/256GB/512GB (64G SSD INcluded ). Also available with 2G RAM 32G SSD. => Looking for 6 LAN ports Mini PC?. Noise Fanless System. 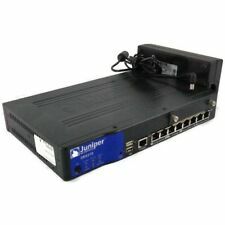 LAN port: 4 RJ45 port;. Ethernet 10/100/1000 BaseT LAN. HP Thin Client pfSense 2.3.4 Firewall VPN 5x Gigabit Ports, 16GB SSD, 4GB RAM!!! Neues AngebotFORTINET 40C , FG-40C . FREE SHIPPING - 30 DAY WARRANTY.